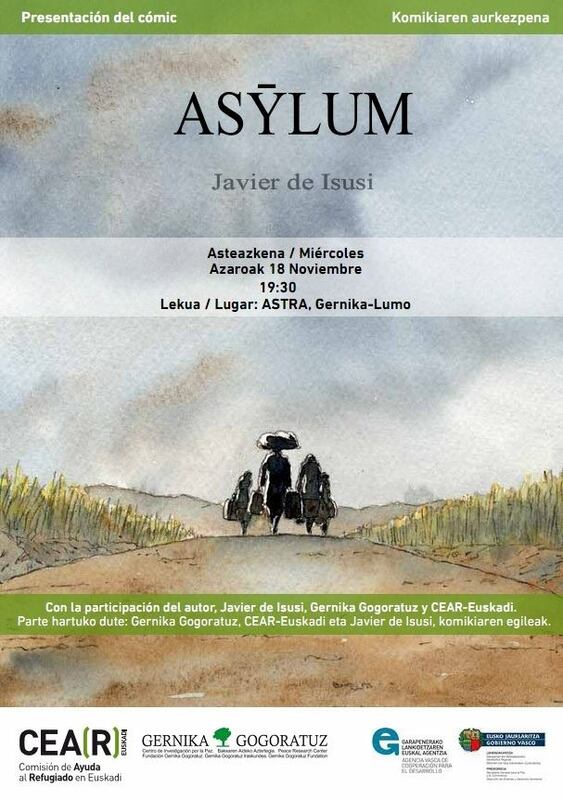 “ASYLUM” KOMIKIAREN AURKEZPENA (Javier de Isusi komikilariaren eskutik): “Memoria partekatuak: asilo-eskubidea, frankismoaren garaiko erbesteratze-esperietzien begietatik”. CEAR Euskadi eta Gernika Gogoratuz. This entry was posted on 15 noviembre 2015 at 8:24 pm and is filed under Sin categoría. You can follow any responses to this entry through the RSS 2.0 feed. You can leave a response, or trackback from your own site.